Shaving by hand is still superior to using an electric razor provided you use a really sharp blade. 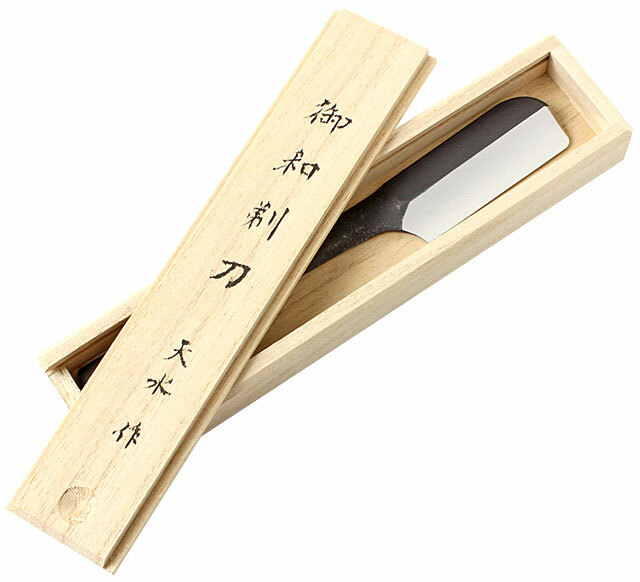 Japanese Razor (Kamisori) by Amano Yuji Yuji Amano is smith who learnt his trade of cutler while apprenticed to Keiichiro Tsutsui, who was a master smith, making mainly forestry tools, in Tosa on the island of Shikoku. Today Yuji Amano has his own workshop where he forges razor blades and other tools. He belongs to a younger generation of Japanese artisans and keeps up a forging tradition that in a highly modernised country like Japan is under constant threat because of the lack of fresh blood entering the job market. He sells his razors under the TAKAMI brand: look for the Kanji symbol representing a letter of his name (天) and the Kanji symbol for water (水), because his blades are quenched with water during forging. 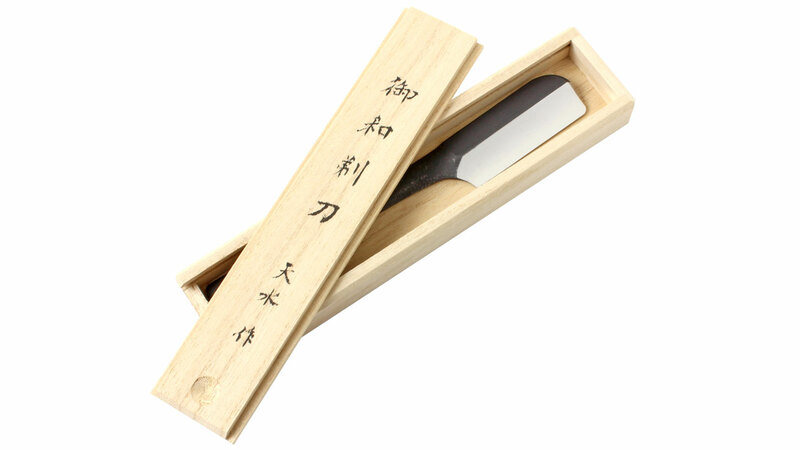 The blade of this beautifully fashioned Kamisori is made from white paper steel no. 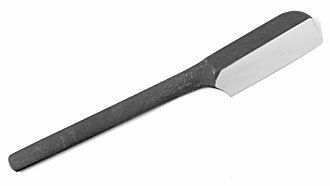 1, forge-welded with a soft iron handle. The blade is polished to a high gloss, the handle has a black forged finish. 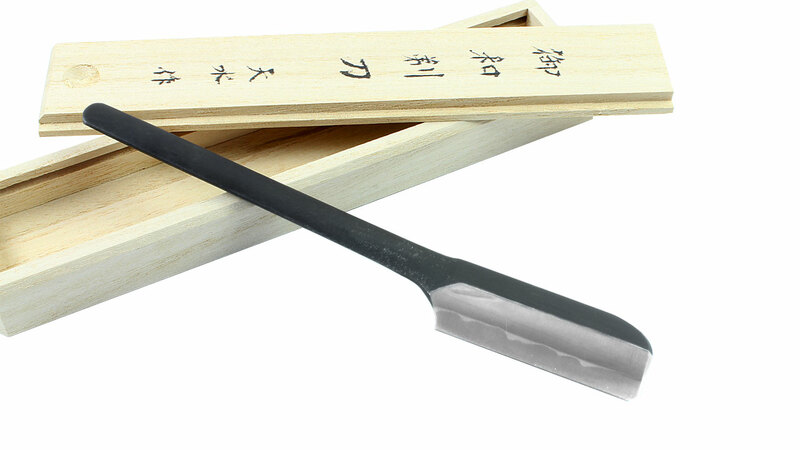 Before using it for the first time, hone the blade with a Japanese waterstone grain size 8000. 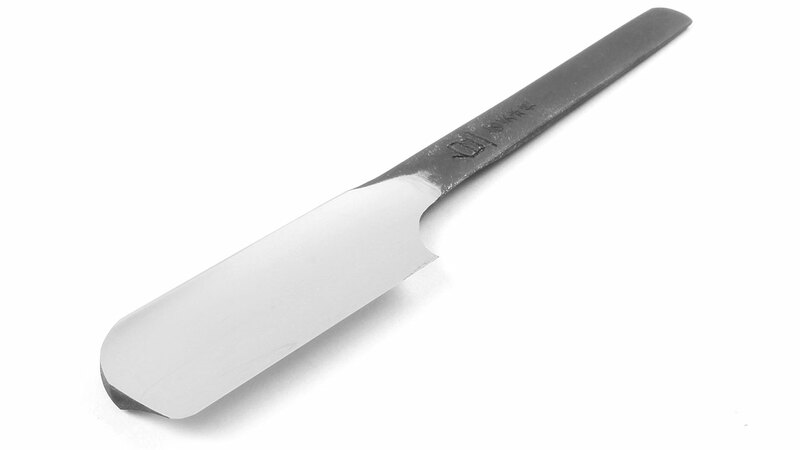 Optionally, the blade can be finished with an even finer stone, eg, with grain size 12000. Note: White paper steel is NOT rustproof. If your razor is kept in the damp conditions typical of a bathroom, you need to take extra care of it. To avoid rust forming, we recommend that you wipe the blade after every use with Japanese camellia oil.